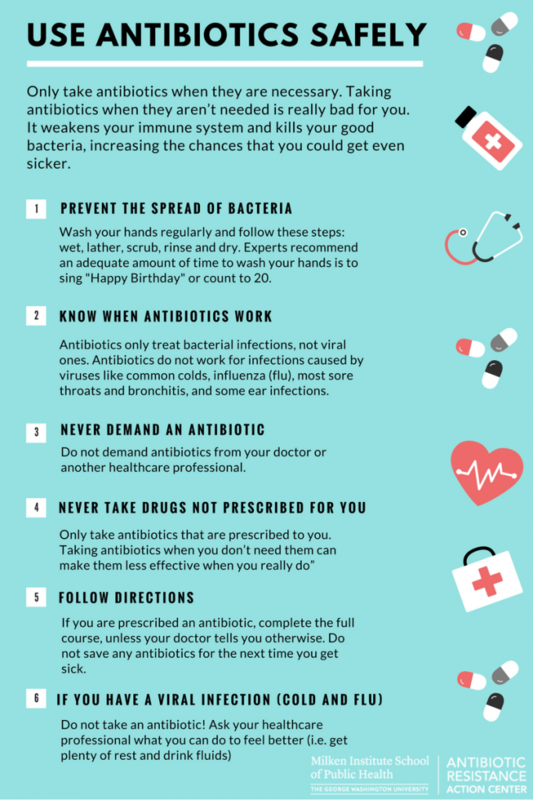 Below are a variety of tips on how to use antibiotics safely, what labels to look for in the grocery store and how to prevent the spread of foodborne illness. Are you confused about labels on meat and poultry at the grocery store? There are many labels out there and many are confusing and misleading when it comes to antibiotic use. 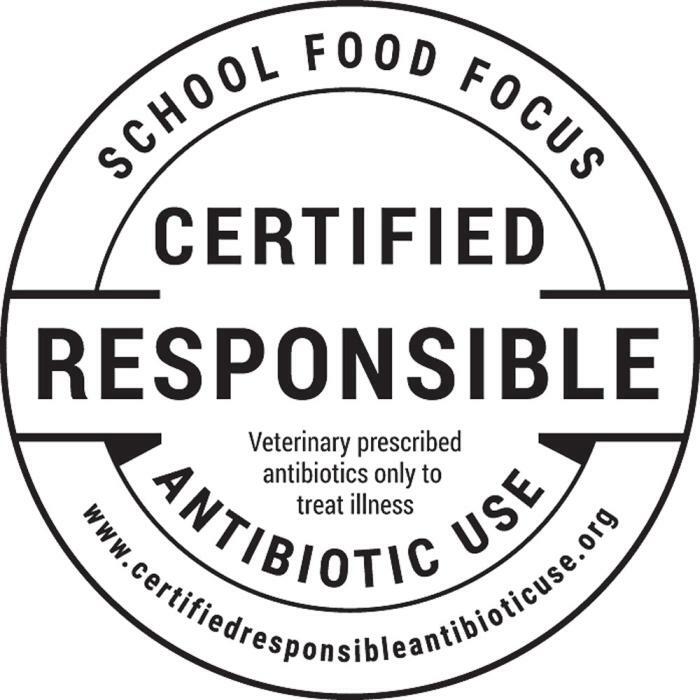 There are very few labels that are verifiable and transparent regarding antibiotic use. 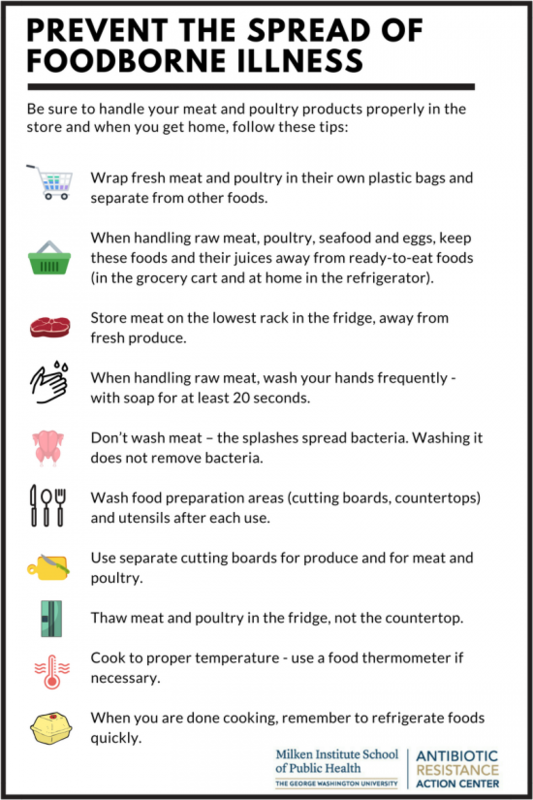 Check out the resources below to learn more about what to look for when you are shopping for meat and poultry raised with responsible antibiotic use. Watch Reel Talk with Lance Price: Understanding Food Labels. This video was created by ARAC and MPH@GW, the online MPH program from the Milken Institute School of Public Health at the George Washington University. Look for the labels below at the grocery store. Note: the most confusing and misleading labels are “natural” and “antibiotic free” which are not USDA-verifiable labels. These labels do not mean antibiotics were never used during production. There is no standard logo, look for these words instead.